The Menu Doctor – Nutritionist.. Popcorn Can Be Dangerous For Your Health. Looking For Some Healthier Options? Annual consumption popcorn in the United States exceeds 1 billion pounds and microwave popcorn makers sell 3 billion bags of this stuff every single year so I’d say it’s time to find out what you are really eating. Let’s look at the ingredient label of leading bag of popcorn. First, it’s obviously popcorn, next we have salt and partially hydrogenated soybean oil. That’s a trans-fat the most toxic of all fats. Fish and milk are 2 other ingredients that may be in popcorn. Microwave popcorn became common about 25 years ago. The first version of microwaveable popcorn can be stored in refrigerator. But in 1984 a shelf stable version was launched and became the first mass marketed microwave popcorn. While popcorn can be healthy whole grain snack if it’s prepared in the right way. Manufacturer’s often coat the lining of the microwave popcorn bag with chemicals that keep the oil and the other ingredients from soaking through the paper bag. The FDA warns that chemicals break down when heated into a substance called Perfluorooctanoic Acid or P.F.O.A. If you can’t pronounce it, then you probably shouldn’t be eating it. High exposure has been linked to cancer, infertility and other health risks. Some companies are working on phasing out these chemicals in the popping bags. A second potential danger in microwave popcorn is Diacetyl. The ingredient found in the fake butter flavour. In response to the concern regarding the risks of Diacetyl exposure, a number of microwave popcorn manufacturers have discontinued using it in their products but many experts argue that the replaceable compounds are no safer. So how can you make healthier popcorn? There is an easy way to avoid the potential hazards of the microwave popcorn bag. First step, get rid of it. You can actually pop corn in a microwave using a plain old brown bag. Simply open it up and add a quarter cup of kernels and a teaspoon of coconut oil. Fold it over twice and pop it right in the microwave (2 minutes). For different variations you can add chilli powder, garlic powder, onion powder, cinnamon, Parmesan cheese, a dash of salt, black ground pepper or a few dashes of hot sauce. It’s spicy and delicious. Why Would I Remove Dairy From My Healthy Eating Regime? 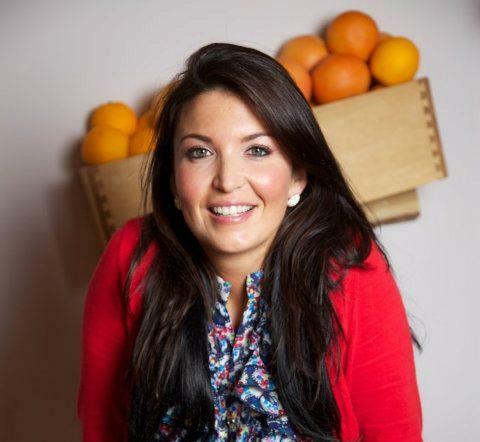 I am a passionate Nutrition practitioner, motivator, fitness coach and writer in Ireland’s leading restaurant, Rustic Stone on Georges Street, Dublin 2.